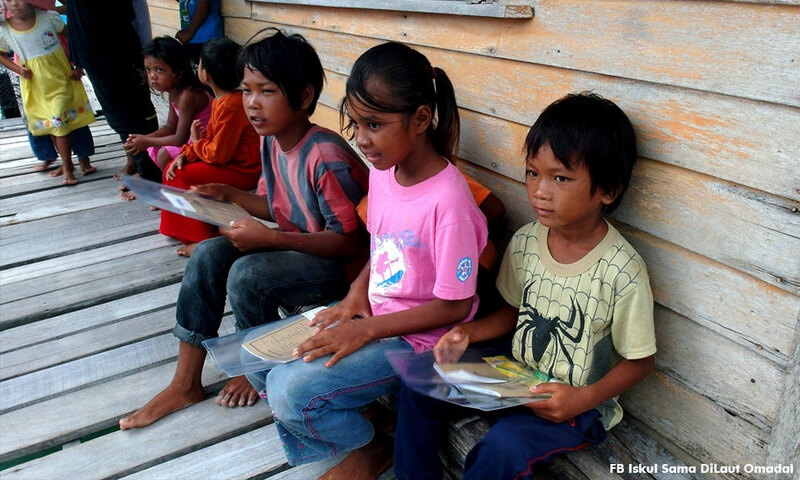 Putrajaya's decision to allow only stateless children with pending citizenship applications to enrol in public schools will deprive many, said the Human Rights Commission (Suhakam). 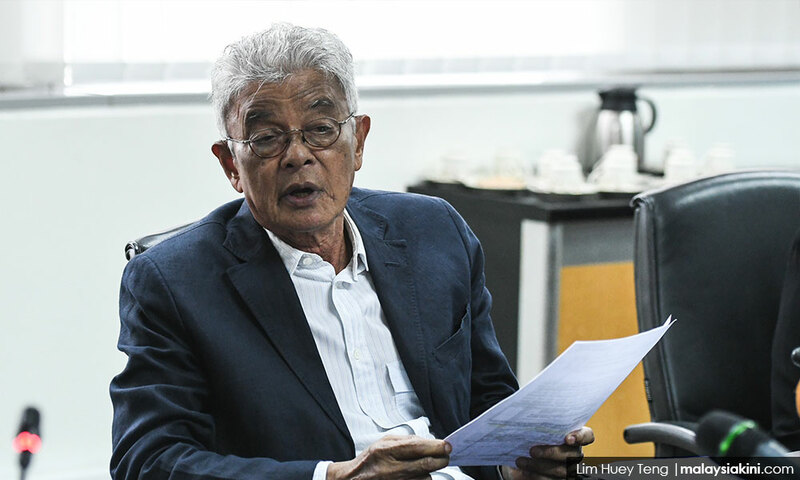 Suhakam chairperson Razali Ismail said this meant that stateless, undocumented and refugee children would have no access to public education and be on equal footing with other children. "Suhakam has received and continues to receive many complaints from families of children who have been denied public education. 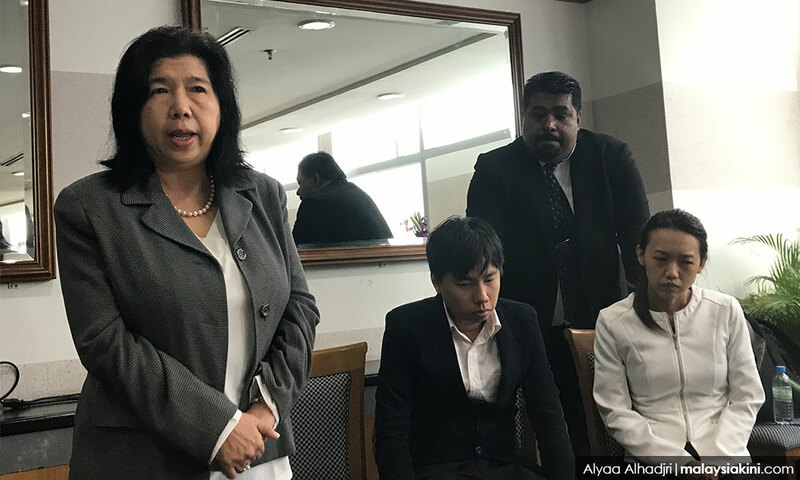 "Suhakam is of the view that it is unacceptable that a distinction of their right be made on the basis of their citizenship status," Razali (photo) said in a statement today. 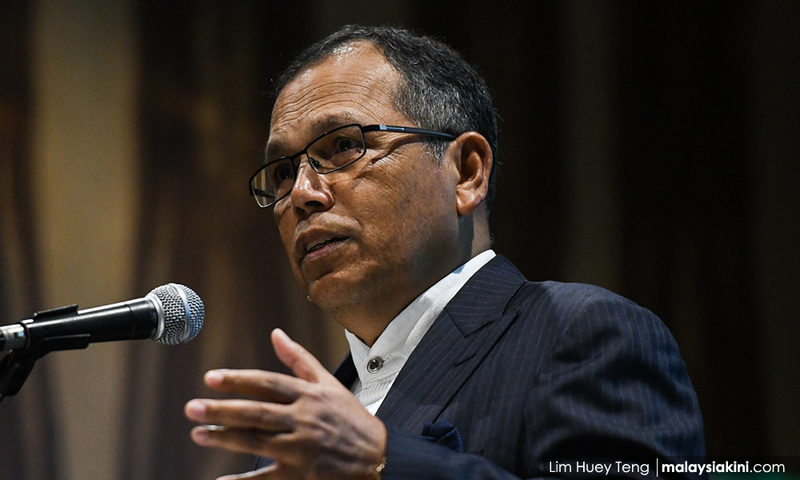 Pointing to the United Nations Convention on the Rights of the Child (CRC), Razali said all children, regardless of their citizenship status, have a right to access free and compulsory primary education. This was also in line with Putrajaya's commitment to the UN 2030 Agenda for Sustainable Development to not leave anyone behind. In view of this, Suhakam urged Parliament to enact laws to ensure that all children have a right to receive public education. PAKATAN HARAPAN, together with the People of Sarawak, needs to overturn the damages brought by the neglect, corruption, and bad governance of the past 55 years by the ruling Barisan Nasional Government. Sarawak must reshape the direction of its future in accordance with the wishes of the Rakyat, for the Rakyat and built on the basis of our immutable rights enshrined within the Malaysia Agreement of 1963 (MA63) and the Federal Constitution of Malaysia. Our first duty is the removal of the current ruling Barisan Nasional Government and the formation of a new Federal Government by Pakatan Harapan. 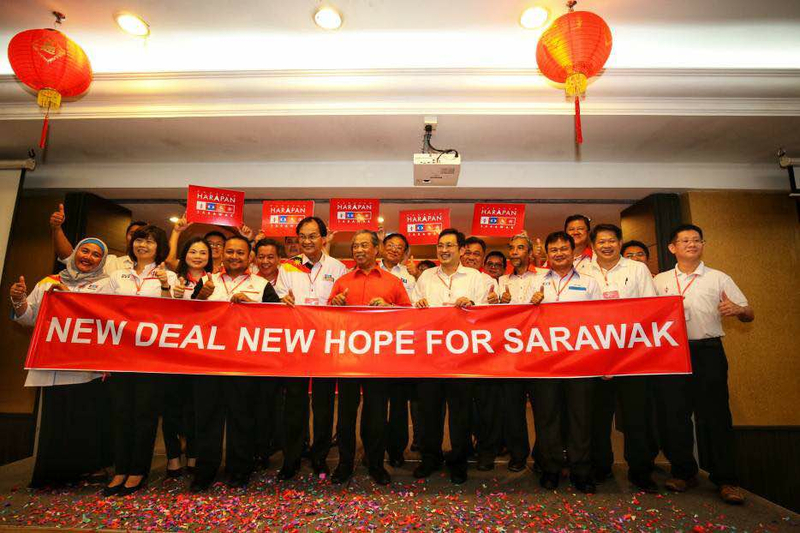 This NEW DEAL FOR SARAWAK outlines the path towards the transformation of Sarawak. Our policies signal a new era of equality, opportunity, and possibilities drawing on the Agreement made in 1963 between us and the Federated States of Malaya, Sabah, and Singapore when together, we formed our nation MALAYSIA. 2. 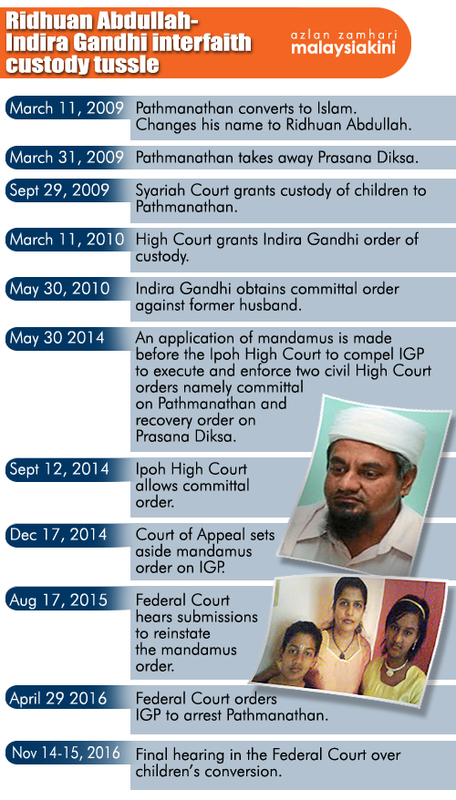 THE ABROGATION OF POWERS. 2. THE DEVOLUTION OF POWERS. 1.1.1 Pakatan Harapan is committed to the Federation of Malaysia. 1.1.2 Sarawak was one of four territories with the Federated States of Malaya, Singapore, and North Borneo, which together formed Malaysia in 1963. 1.1.3 In 1976, the Barisan Nasional Government amended the Constitution and made Sabah and Sarawak the 12th and the 13th states. 1.1.4 Pakatan Harapan is committed to restoring Sarawak to its ORIGINAL STATUS within the context of the Malaysia Agreement of 1963 which we will revisit and review. 1.2.4 THE TERRITORIAL SEA ACT OF 2012. The trade control and licensing system of the Barisan Nasional Government encourages monopolies, cronyism, and rent-seeking. Controlled import permits on cars, rice, sugar, cement, and other commodities have artificially inflated the prices of these goods. Pakatan Harapan is committed to devolving the power of trade and commerce to Sarawak, thereby ensuring fairer opportunities and more EQUITABLE TRADE POLICIES that will benefit consumers and create a better and more conducive business environment. Under the Barisan Nasional Government, the Federal Government controls most revenues related to budgetary allocations for development and funds for the implementation of projects. We are committed to fiscal decentralisation and shall devolve the power of taxation such that Sarawak shall retain 50% OF ALL TAX REVENUES COLLECTED IN SARAWAK. In addition, Sarawak will receive 20% OIL AND GAS ROYALTIES OR VALUE EQUIVALENT from the Federal Government. The Government of Sarawak shall use these funds to shoulder the fiscal responsibility of the Federal Government in EDUCATION and HEALTH. This shouldering of fiscal responsibility is to be accompanied and guided by good governance practices: a high quality of service delivery; competency; accountability; and transparency. We shall ensure that TOP PRIORITY is given to competent and eligible Sarawakians for their employment and promotion in Federal Government departments and agencies in Sarawak. We shall also promote MERITOCRATIC, EQUAL OPPORTUNITY POLICIES based on competency and eligibility in Sarawak, nonetheless aware that inequalities between ethnic groups are real and will need to be addressed equitably to ensure no group is left behind. 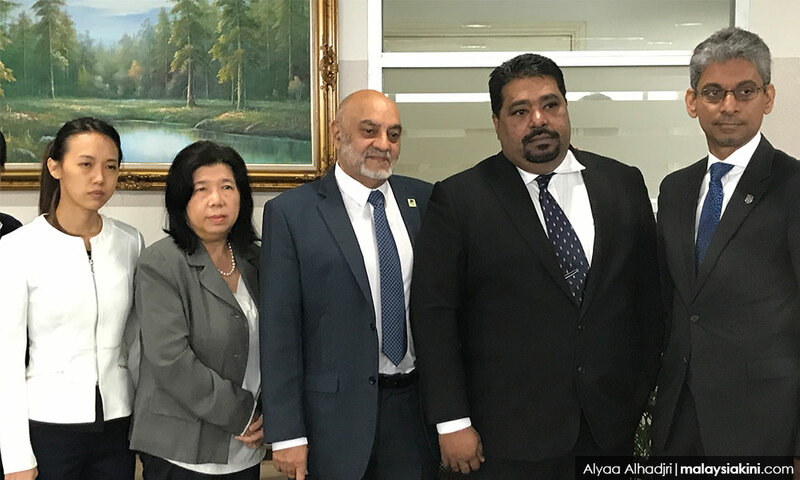 Under the Barisan Nasional Government, Sarawakian athletes are compelled to leave Sarawak to obtain further development to develop their abilities and potential for them to compete on an international scale. We shall provide world-class coaching facilities in a SPORTS INSTITUTE in Sarawak to fully equip and harness the vast potential of young Sarawakians so that we can compete on the NATIONAL AND INTERNATIONAL STAGE. Pakatan Harapan upholds the National Education Policy. To improve service delivery of education for the benefit of the children and youth of Sarawak, we shall return DECISION RIGHTS in EDUCATION to Sarawak. 2.5.1 Parents shall be given the FREE CHOICE to have their children educated in BAHASA MELAYU, ENGLISH, OR MANDARIN in schools offering these language options as the medium of instruction. We shall allocate official budgetary support from public funds for this purpose. 2.5.2 LOCALISE SYLLABI reflecting local languages, local history, local politics, and local geography. 2.5.3 REVIEW STAFFING AND ADMINISTRATIVE POLICIES, allowing teachers to focus on teaching in the classroom and not overly burdened by administrative requirements. 2.5.4 Set up faculties in universities for the study and development of all NATIVE LANGUAGES OF SARAWAK, INDIGENOUS KNOWLEDGE OF SARAWAK, SARAWAK HISTORY, AND ANTHROPOLOGY. 2.5.5 Make available state EDUCATION GRANTS based on merit for financially challenged students and youths who wish to pursue tertiary education both locally and overseas. 2.6.1 Return DECISION RIGHTS in HEALTH to Sarawak. 2.6.2 Encourage OPEN COMPETITION in the procurement process of medical supplies and pharmaceuticals, as well as the supply of services. 2.6.3 Improve and upgrade the quality of all general hospitals in Sarawak and equip them with CANCER AND HEART CENTRES. 2.6.4 Ensure adequate resident doctors in all rural and district hospitals and improve rural clinics with UPGRADED FACILITIES, PROFESSIONAL MEDICAL SERVICES, AND MEDICINES. With fiscal decentralisation, we will use additional revenues to bolster social welfare to expedite welfare benefits and enhance the social security network for all Sarawakians in times of need. 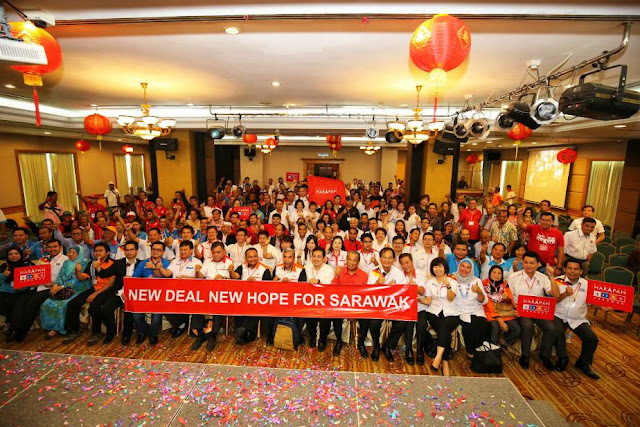 The aim is to make EVERY SARAWAKIAN FEEL SECURE under the NEW DEAL FOR SARAWAK. Under the Barisan Nasional Government regime, corruption at Federal level and at the current State level has been the main reason why so many Sarawakians are still deprived of basic development infrastructure like bridges, roads, electricity, and treated water supply. 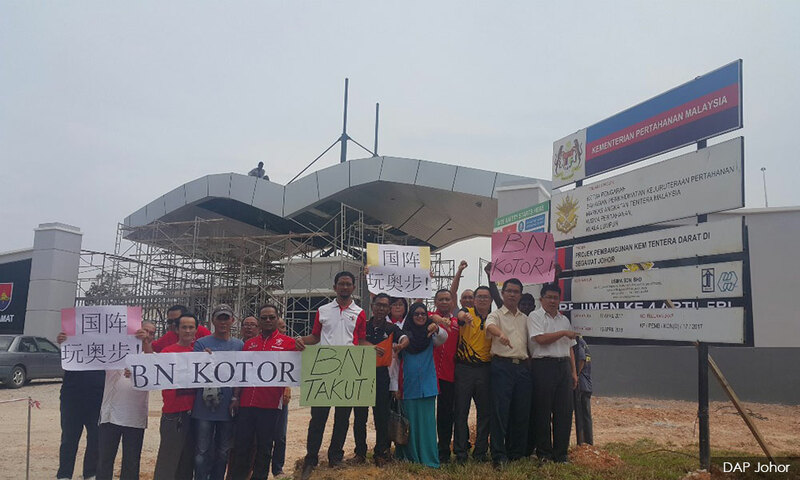 Substantial amounts of development allocations have been diverted to enrich Barisan Nasional cronies. 2.8.1 Speed up the supply of TREATED WATER and ELECTRICITY TO ALL HOMES, both sub-urban and rural. 2.8.2 Construct inland highways and ROADS CONNECTING RURAL NATIVE HEARTLANDS to enhance native land value and CATALYSE ECONOMIC GROWTH in the interior. 2.8.3 Commission a study on a TRANS-BORNEO RAILWAY SYSTEM connecting all major towns and cities in Sabah and Sarawak. 2.8.4 Set up an INDEPENDENT SUPERVISORY BODY (SARACAT – Sarawak’s Select Committee on Competency, Accountability and Transparency) to ensure that every Ringgit of allocation is genuinely utilised for development purposes that will benefit the Rakyat. 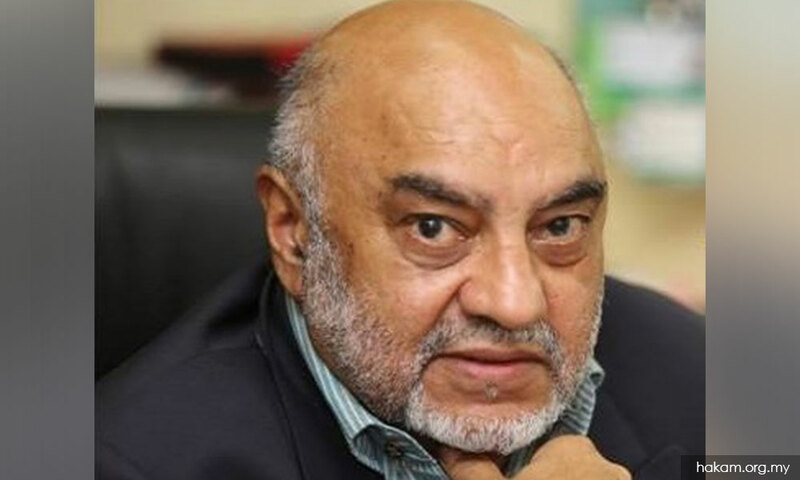 The present company PETROS set up by the Barisan Nasional State Government is merely a sub-contractor of PETRONAS, hopeful to receive some distribution and sub-contract works from PETRONAS. 2.9.1 We shall set up an EQUIVALENT OF PETRONAS in Sarawak called SARAWAK PETROGAS to be wholly owned by the Government of Sarawak. 2.9.2 We are committed to ensuring that SARAWAK PETROGAS SHALL JOINTLY MANAGE OIL AND GAS RESOURCES WITHIN THE TERRITORIAL BORDERS AND WATERS OF SARAWAK TOGETHER WITH PETRONAS. 2.9.3 SARAWAK PETROGAS shall be directly answerable to the SARAWAK LEGISLATIVE ASSEMBLY. 2.9.4 We shall set up a SARAWAK WEALTH FUND funded by all revenues from SARAWAK PETROGAS for the well-being of all Sarawakians. The Sarawak Wealth Fund shall also be directly answerable to the SARAWAK LEGISLATIVE ASSEMBLY. There is a need to fully develop the tourism potential of Sarawak’s culture, heritage, and natural products. We will ENGAGE ALL STAKEHOLDERS in the local tourism industry to further DEVELOP CURRENT TOURISM PRODUCTS such as tourist attractions, heritage sites, national parks, and CREATE NEW PRODUCTS, especially in the hospitality and food & beverage industry. We shall also prioritise a robust development of civil infrastructure to create tourist-friendly ACCESS TO THESE TOURISM PRODUCTS, especially in the rural regions where our diverse cultures, cuisines and natural beauty are found and thrive. The Pakatan Harapan NEW DEAL PART THREE will be launched at the appropriate time. With just a five-point swing in support, Pakatan Harapan can form the next federal government with just the winnings in Peninsular Malaysia alone, according to social media research firm Politweet.Org. However, the firm said a slim margin of three seats - 112 seats are the minimum required - would not be enough to establish a stable government. Due to this, a stronger swing of support and victories in Sabah and Sarawak would be crucial for the coalition. Harapan, Politweet said, would need to target an additional 10 or more seats in East Malaysia but this could be a tall order. “Given the performance of the opposition in the Sarawak state elections in 2016 and the current state of the opposition in Sabah, we can expect Harapan to face difficulty in winning 10 seats,” it added. Meanwhile, Politweet said three-cornered fights involving PAS would benefit BN and for Harapan to overcome this hurdle, its parties - particularly Bersatu - must win over the ruling coalition's supporters. “If Harapan is able to do this in three-corner fights, then the results of Scenario Three (a five-point swing to Harapan) can be achieved. 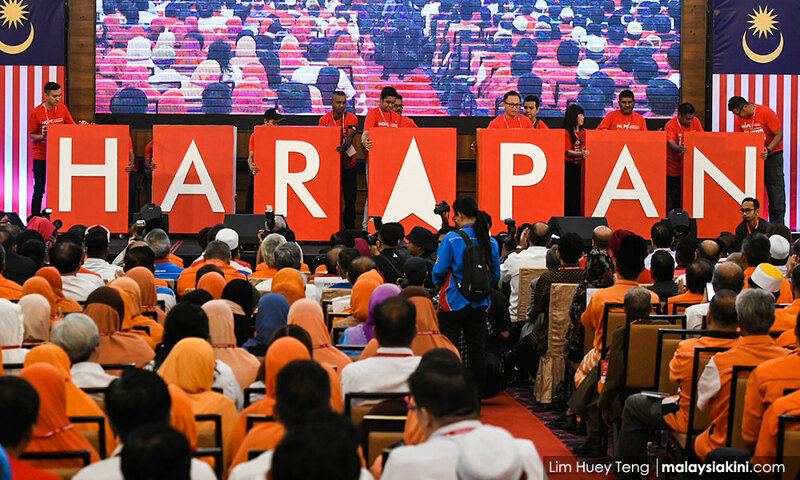 This will lead to record victories for Harapan in Kedah and Johor, as well as control of the federal government,” it said. Another hurdle that Harapan faces is the ongoing redelineation exercise, which is not modelled in Politweet’s simulation. It said that if the redelineation is completed by the time the election takes place, BN’s odds in winning 10 more seats would improve. 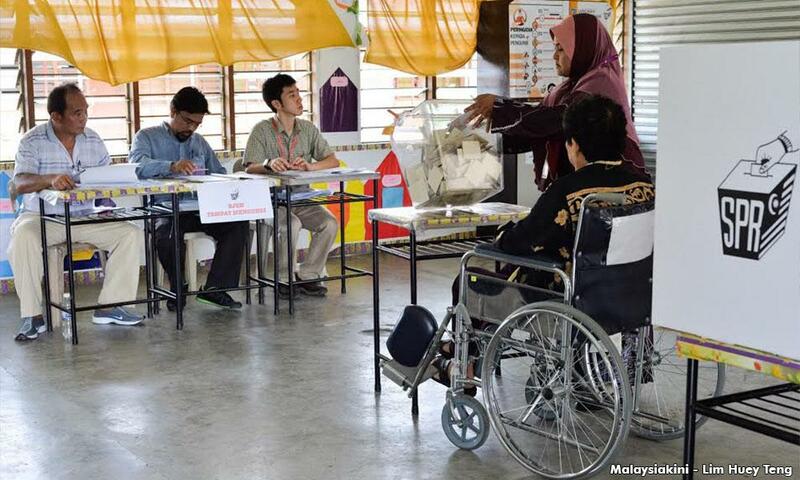 The situation is even bleaker for Harapan if voter sentiments remain as they were in the 13th general election. In this scenario, Harapan would only win between 76 to 83 seats in Peninsular Malaysia, compared to BN’s winnings of between 82 to 89 seats. For comparison, the Pakatan Rakyat opposition had won 80 seats in Peninsular Malaysia during the 13th general election, while BN won 86 seats. 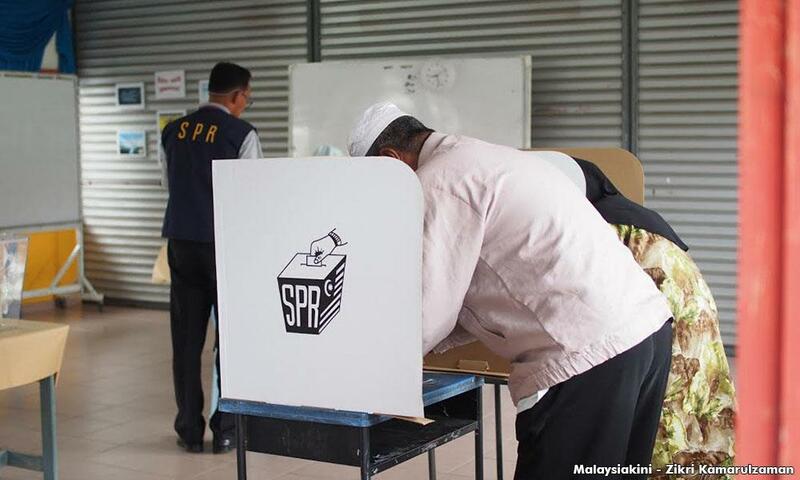 In Sabah and Sarawak, Pakatan Rakyat had won only nine seats during the election, compared to BN’s 47 seats. Politweet said its simulations are based on data on voter demographics and results of the 12th and 13th general election at the polling stream level. 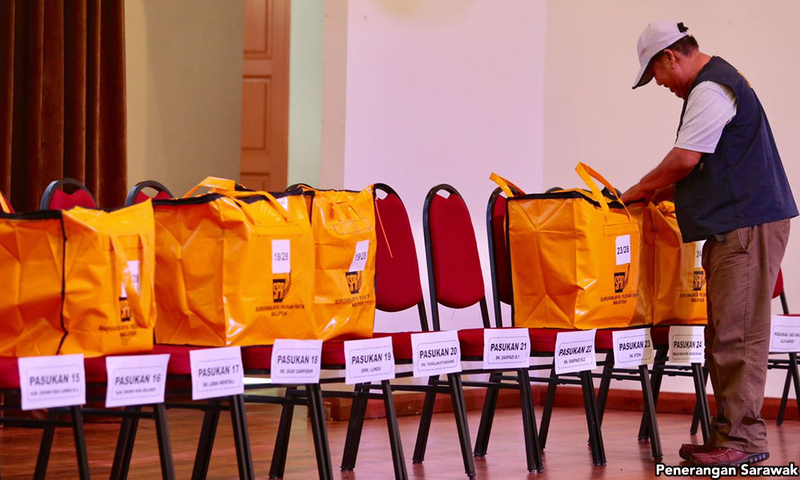 This allows it to estimate each voter’s level of support for BN and opposition parties based on factors such as age, race, gender, the constituency involved, and whether it is an urban, semi-urban, or rural constituency, among other factors. 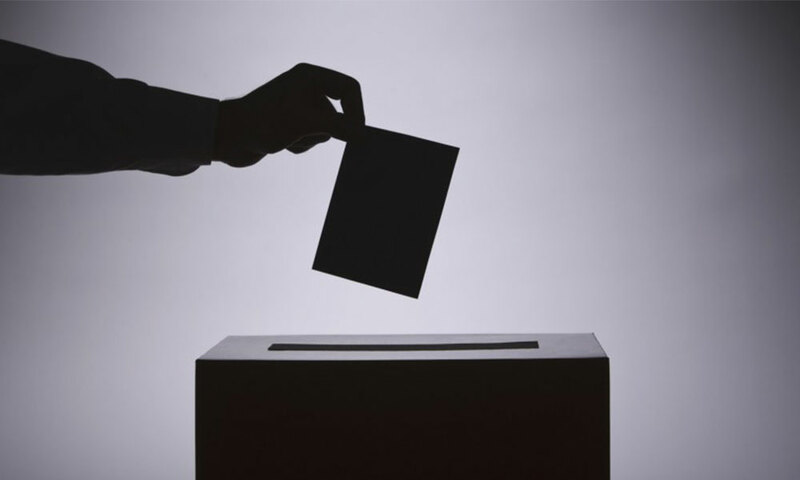 Each voter’s probability of turning up to vote is also estimated with this method. The firm then ran 300 simulations for each of three different scenarios: If voter sentiment remains the same as the 13th general election, if each voter has a two-percentage-point swing in the probability of voting for the opposition, and if each voter has a five-percentage-point swing in probability in voting for the opposition. The odds of BN or Harapan winning each constituency is then tallied based on how many times each coalition won the seat out of the 300 simulations. However, the simulations are based on several assumptions that may not be true for the 14th general election. It assumes straight fights between BN and a united opposition, and that there is no redelineation. It also assumes that voter sentiment is unchanged and the 14th general election would see the same turnout rates as the 13th general election’s national average, which is 84.84 percent.